Do you have a brand that pops? Well, there’s more to branding than just your logo. You have to have a brand that stands out from others. You have to have a strong brand presence. Learn more from our guest, Stephen A. Hart. Stephen is a marketing genius, a successful entrepreneur, and he has done amazing things in the real estate industry. Now Steven works in marketing and is launching his own curses to help sales professionals and fellow entrepreneurs to create a brand that pops. Stephen also has a podcast called Trailblazers.fm where he interviews and connects with successful black professionals as they share their insights and thoughts about their journey. Check out episode 1 where he had me as his guest. Stephen has also been consulting individuals and businesses on how to really own their brand. 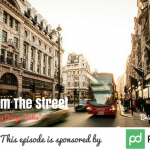 His focuses mainly on personal branding, which is something many businesses and salespeople don’t have. Branding is a promise you’re making to your customer. There are 5 key elements to help you define your personal brand. This is one of the first elements people perceive from your brand presence. Research proves that subconsciously, we make a judgment within 90 seconds based on color alone. There are websites that can help you define your color palette. Document those specific colors. Pick two or three – one primary color and a couple accents you’re going to use for, say, the color of your buttons across your website. Select two to three fonts. One for the header, one for the body. Then you can carry it offline into your other marketing collateral. Look at either creating your personal brand or enhancing your social presence. Is it casual, professional, or energetic? What’s the vibe you’re setting for your brand? Can you leave it to someone else or marketing to define your brand? Your personal brand is a reflection of you. You have to have an involvement in it because it’s a part of you. You want a brand that reflects you. You want it to be an expression of who you are. It’s okay to pass it on to someone else but you still have to have some influence in that process. Color and tone are hard elements. But in terms of the mood of your brand, this refers to the personality or the vibe of that brand. Be able to relate what that emotion and feeling is. Without any mood, your brand is dull and boring. Define that mood and vibe you want to set and it will change the emotion and the feeling and it can add interest to the story. Create a visual mood board. This is made up of a collection of images that conveys the emotion you want customers to feel when they look at them. Then this allows you to connect to prospects. Use a hex code (a six-digit code that defines the exact color you want). When using Canva or PowerPoint, you can actually select this color you want by typing in your hex number and the exact same color comes up for you across the different tools you’re using. Optimize your branding elements where there are visuals. This includes your professional headshot, great cover artwork that ties into those brand elements. Show your font and colors in your background and profile so you exhibit professionalism once they visit your website and they see those same fonts and colors. Be sure to optimize every single field and categories on LinkedIn. Be mindful of using keywords here as this is what’s going to help you to be found on LinkedIn when someone searching for a particular product, service, or skill. Focus on what keywords you want to be searched for. Be sure to lay off the term, ex. digital branding, throughout your LinkedIn profile, so if someone is searching digital branding in LinkedIn search, you’re going to come up in the top results. Get connected to more people on LinkedIn. The more people you connect to expands your 1st to 3rd level connections. This affects how you appear in search results as well. 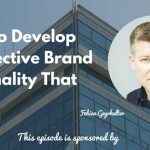 If they’re searching for digital branding, you’re going to come up higher than the person who’s their second or third level connection. Take care of telling a story online that you want people to see, hear, and feel. Address your personal branding. Begin working on creating a personal website. Make sure you optimize social channels you want to be known on and grow a following with. Take care of your personal brand and your digital footprint. 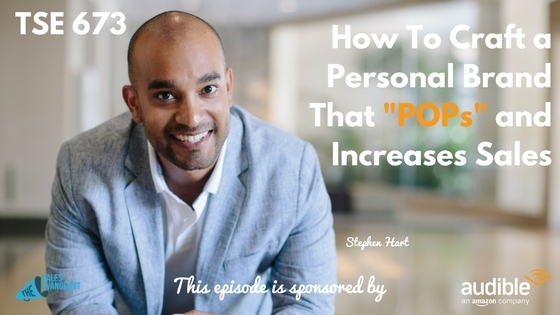 Stephen is hosting a free online workshop on personal branding. Visit www.stephenahart.com. Connect with him on Twitter, Instagram, and Facebook.